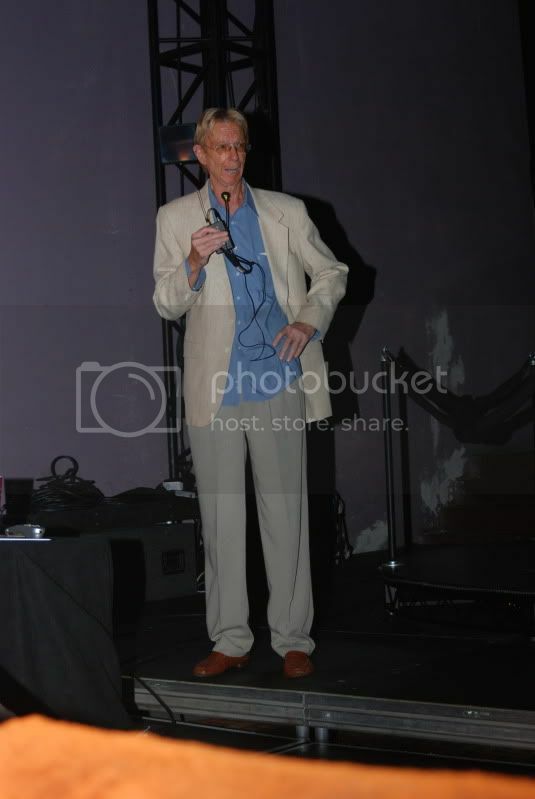 The evenings festivities were graciously hosted and introduced by Ivan Dryer, founder of the Laserium and a Los Angeles legend in the world of entertainment technology. 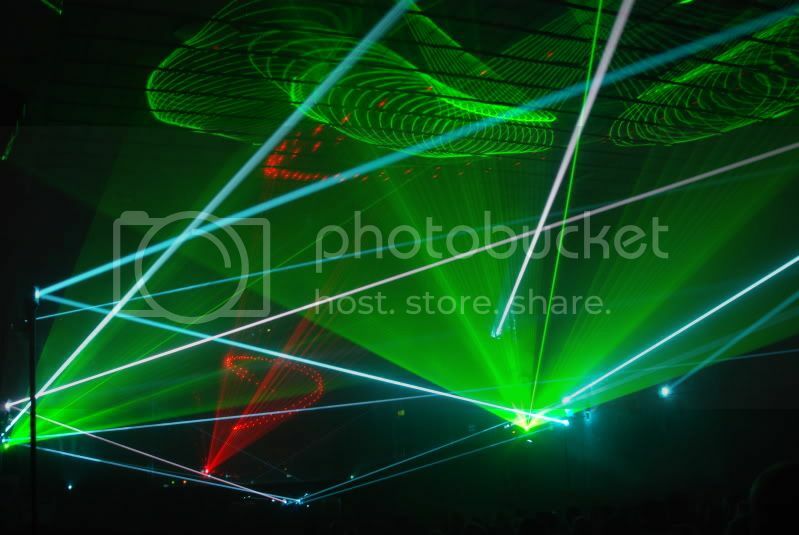 Mr. Dryer is generally considered to be the father of commercial laser light shows. 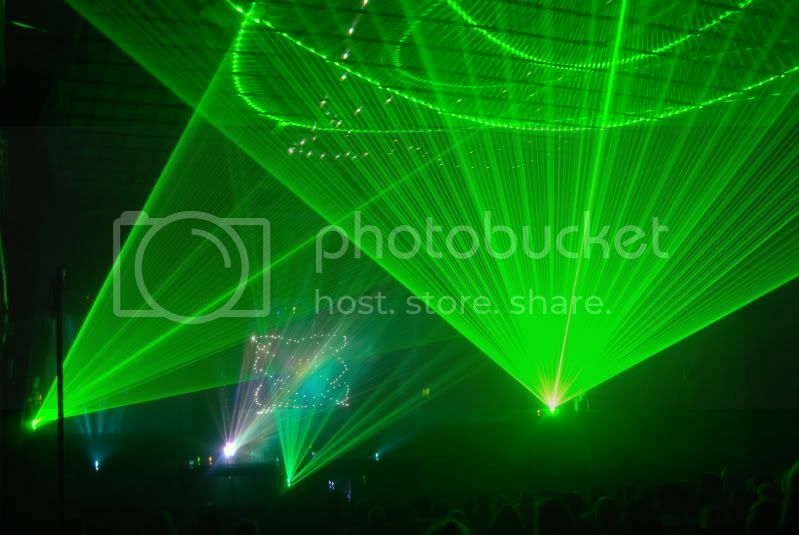 Starting out as a filmmaker in the 1970s, Dryer transitioned movie lasers used primarily for film effects into a show at the Los Angeles Griffith Observatory under the name Laserium. 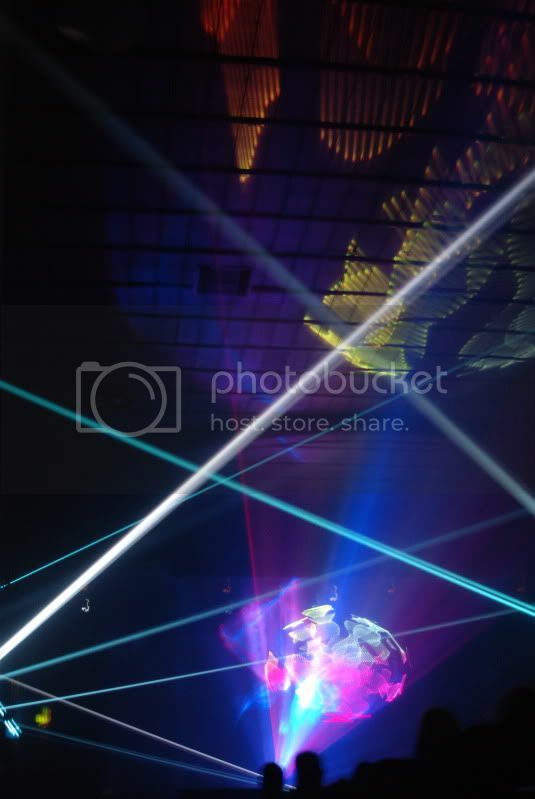 Laserium shows went on to be played in 46 cities worldwide, and were viewed by over 20 million people, eventually gaining recognition as the longest running theatrical attraction in the history of Los Angeles. I had no idea how popular this would be, Dryer said. It was supposed to be temporary and wound up as a career. As many as 20 million people have leaned back and watched the sky light up to music. What made that experience so popular? Dryer thinks its something about the fundamental appeal of light: The quality of that light triggers something in the brain, I think. It gets into the limbic system  the central neurological structure where the passions reside  and stirs things up. 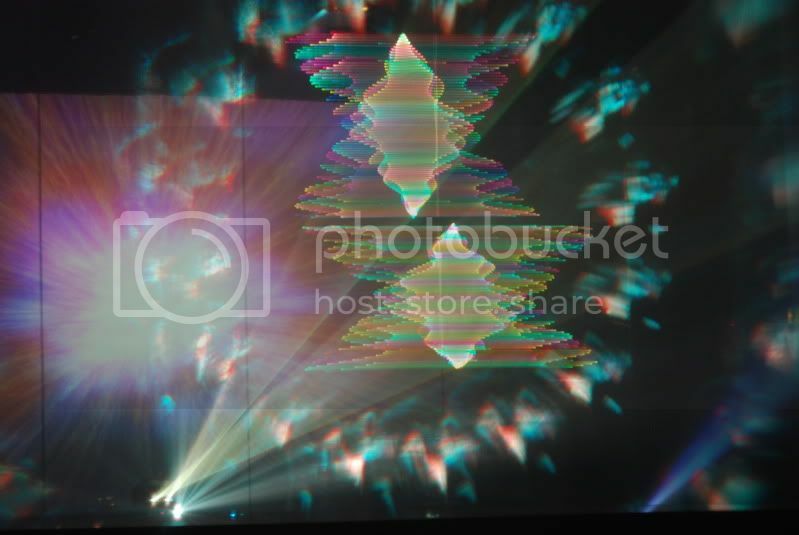 The light and the music trigger our deepest emotions. The light and the music continue at the Laseriums permanent new cybertheater in Hollywood. Anyone who goes from being an aspiring young astronomer to an aspiring young filmmaker gets the ScriptPhD.com seal of approval! 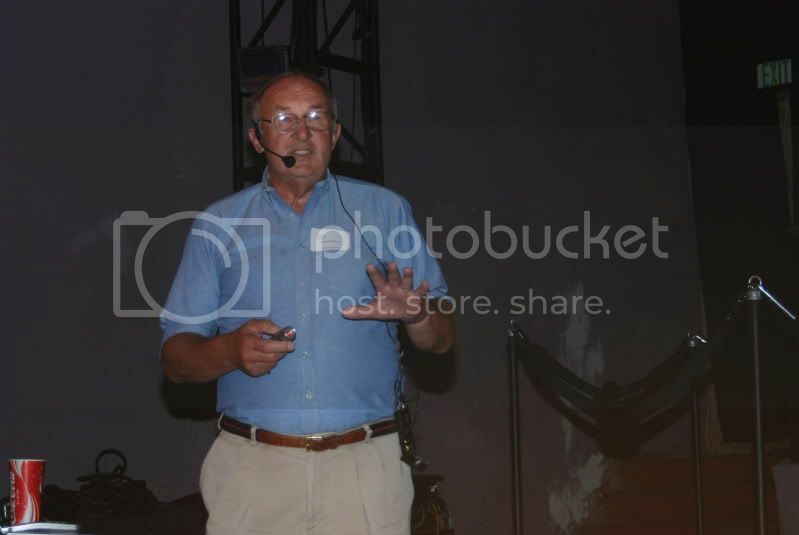 And speaking of astronomers, the audience was treated to a lecture by world-renowned cosmologist (and the man responsible for the astronomical demotion of Pluto), Dr. Charles Baltay. Dr. Baltay, a Higgins Professor of physics and astronomy at Yale University, was born in Hungary and raised in Bavaria shortly after World War II. After relocating to the States, Dr. Baltay received a physics PhD from Yale and taught at Columbia University. What follows is a rare lecture that makes esoteric physics and astronomy approachable and enjoyable to non-scientists and scientists alike, while deftly explaining the sophisticated cutting-edge frontier of the expanding cosmos. Ill be talking about the dark side of the universe, but by this I dont mean Washington politics or the CIA. Ill be talking about something called cosmology. The Big Dipper constellation surrounded by star systems. So this is our view of the large-scale structure and evolution of the universe. The first question is the structure. At small scales, the Earth is going around the Sun, the Moon around the Earth, theres a lot of lumpiness, but when we look at the large scale, its very smooth and uniform. The next question is evolutionagain, lots of irregular motion at small scales, and at the large scales, its pretty much the same as its been. 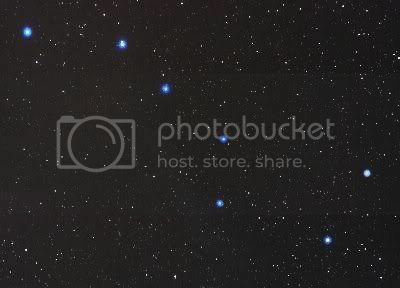 Many of you might recognize this picture as The Big Dipper. Its looked the same to the Greeks, to the Arabs, since recorded history, so our view was that the Universe was really not changing. Its forever. The questions we ask in cosmology are: is the Universe really static or is it evolving in some way? What is the age of the Universe? Is it infinite? Is there even a meaning to the age (if its forever then theres no age)? What is the future development of the universe? What is the stuff that the Universe is made of? Let me start by giving you the present view of the Universe. We believe that the Universe is not static but in a state of uniform expansion as an aftermath of the big explosion. This we call the Big Bang model. We believe that we cannot see most of the stuff in the Universe. The picture above of the stars and galaxies is what we call visible matter. It turns out that visible matter comprises 1% of the stuff out there. Most of it is dark matter and dark energy, stuff we cannot see and that we dont know very much about. And we believe that on the largest scales, the universe is very smooth and uniform. 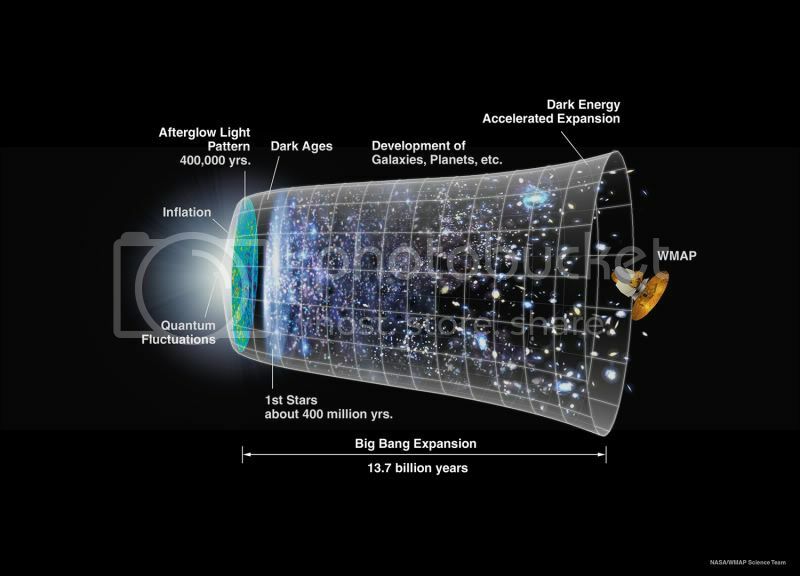 We believe that there is such a thing as an age, the time since the Big Bang. And we believe that to be 10-20 billion years. Some people say 13.2 billion [as in photo above], which may or may not be right, but that is a theory. A model for a smooth large-scale universe, post-Big Bang. Image courtesy NASA/WMAP. To fill in a few details: how do we know all of this stuff? It doesnt come from religious books, its not voodoo science. It started with a guy called Edwin Hubble who invented Hubbles law. What he noticed is that distant stars and galaxies are moving away from us. The further something is, the faster its pushing away. Thats Hubbles Law in a nutshell: the recession velocity is some constant times the distance. The point here is that the further away things are, the faster theyre rushing away from us. When Hubble plotted the redshift vs. the distance of the galaxies, he found a surprising relation: more distant galaxies are moving faster away from us. Hubble concluded that the fainter and smaller the galaxy, the more distant it is, and the faster it is moving away from us, or that the recessional velocity of a galaxy is proportional to its distance from us. Animation and text courtesy Western Kentucky University Department of Astronomy and Physics. The higher pitch is the shorter wavelength, then they pass you and theyre moving away from you, you get a lower pitch or a longer wavelength. So if the source is approaching the observer, you get shorter wavelengths, meaning towards the blue, so its called the Blue Shift. If something is moving away from you, then the pitch drops, you get longer wavelengths, which are redder, so its called the Red Shift. This is the whole clue to this [universe moving away faster] business. Measuring the red shift tells you the velocity thats moving away from you. But how do you measure the red shift? A wavelength spectrum emitted from a distant star. The bottom spectrum shows a red-shift effect based on distance. This picture is called a wavelength spectrum. This is a numerical representation of the wavelength of light coming from a distant star. And you notice certain items give you certain colors, like neon is a bluish color, and sodium lights a yellowish. Each of those colors show up as a line [represented by a specific wavelength]. It doesnt take a rocket scientist to see that this top pattern is the same as that bottom pattern, but its displaced in wavelength [because it’s coming from a more distant star]. Thats how we measure the red shift. However much the wavelength is displaced, this tells you the red shift, which tells you the velocity. So what you do is look at a lot of distant stars in the galaxy, which is what Hubble did, measure their red shift from pictures like this, and figure out that the further away something is, the more rapidly its moving away. Why does that mean an expanding universe? Suppose you go to a marathon in your city of choice and as usual you are late to things. So you arrive late and by the time you get there, you see that Sue the leader is 16 miles from the starting line. And she is running at 8 miles per hour. Joe is running at 4 miles per hour, so he only got 8 miles from the starting line. And some loser is only doing 2 miles per hour, so he only got 4 miles away. So if you all start at the same point, the faster you run, the further you get away. And thats exactly Hubbles Law [as relates to Universe expansion.] To put it another way: the further something is, the faster its running away from us. So thats all there is to it. Very simple. Suppose I come late to the marathon and I say to someone, How long has this race been going on? [the equivalent being, how old is the universe?] It doesnt take an astronomer to say, 2 hours. If Sue is running at 8 miles per hour, shes 16 miles from the beginning, the race has been going on 2 hours. So thats the age of the Universe. All you have to do is measure how fast the galaxy is running away from us and how far the distance is, and you get the time. So the age of the Universe is the distance to some star divided by its velocity. But we make one big assumption here. That theyre running at a constant velocity. Suppose that Sue was really running faster, but is now getting tired. Image of a distant supernova taken from the Hubble Telescope. Insert: efore-and-after pictures of a high-redshift supernovae discovered by the Supernova Cosmology Project in March, 1998. Image courtesy of University of California, Berkeley. So that brings up the next big question: is the expansion velocity of the Universe a constant or not? And you say that the answer is simple, because there is stuff in the Universe, like magnets, people, worms, stuff, gravity is attracted, so if the thing is expanding, gravitational attraction has slowed down the expansion. So we would expect the expansion of the Universe to slow down, to decelerate. And the rate of the deceleration tells you how much stuff there is. The more stuff, the more gravity, the more it slows down. But how do we measure these things? How can you measure what the velocity was in the past, say a billion years ago? If we are looking from Earth at a supernova (thats an exploding star in the Universe), and lets say that it was 1022 kilometers away. It takes light 3 billion years to get from the supernova to the Earth. 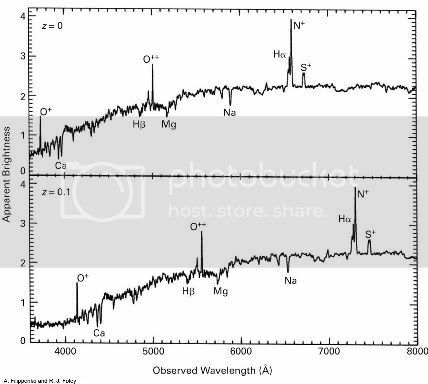 So the light that we see today was really emitted 3 billion years ago. And the properties of that light tell us about the Universe as it was 3 billion years ago, and in particular, the red shift of that light tells you about the extension velocity of the light in the past. By looking at supernovas at different distances, you are indirectly measuring the expansion velocity of the Universe. Distance translates to time in the past, because light travels with finite velocity. Scientists did this experiment and there was a huge surprise: the expansion velocity was smaller in the past and is bigger now. The Universe is accelerating! It has no business doing that. It cannot possibly do that [based on all the points discussed above]. All the laws of physics, and everything we know say that this cannot be. So this study came from guys at Harvard, so we didnt believe them, but then people from Berkeley replicated the experiment and we now have to believe it. This is a strange state of affairs. All of the stuff in the Universe attracts gravity, and cannot cause it to accelerate. Scientists are not very smart and savvy, but were smart enough not to call the New York Times and say, We just spent umpteen million dollars and we dont know what the hell is going on. So instead, we call the New York Times and say, We discovered dark energy. Whats dark energy? We have no idea. But dark energy is something that has to be pausing gravity. So we hypothesized dark energy is pushing the Universe apart and its qualitatively different from anything we think about, and its dark because we dont see it. This is kind of where we are currently in this research field. So we all recognize Albert Einstein, who came up with the Theory of General Relativity. And when you do the calculations and you put everything together, you come to this very startling conclusion: that the visible stuff in the Universe is 1%, and dark matter and dark energy are 99%. So all our physics books, the books in the Library of Congress are, but alas, 1% of the Universe. The rest [of the matter], we know almost nothing about. So the question is, how do we learn more about the age, the history and the future of the Universe? One thing we would like to do is look further back in cosmic time. The experiments weve done up until now have only gone back a short time, maybe 1 or 2 billion years. We would like to go back maybe 10 billion years to trace out this expansion velocity. Going back to our earlier example, I see Sue running the Boston Marathon, and Id like to trace out her velocity from the beginning of the race. If I know that, I can reconstruct the exact age and predict the future. So going back further in time, long ago, means further away, because that is the direction the light is coming. Far away means these supernovas are very faint, so you have to go to space to look for them. We have proposed a space mission [the SuperNova Acceleration Probe as part of the Joint Dark Energy Mission] to look for these supernovas to take us back further in time. On the other hand, you also need a sample of nearby supernovas to compare [them], and that we have to do from the ground, because theyre relatively bright since theyre close-by, but they are very rare. The ground experiments will give us the baseline supernovas and that is the Palomar Quest Survey which is underway at the Palomar Observatory not far from Los Angeles as a collaboration between our group at Yale and a group at the California Institute of Technology. The SNAP space mission [link above] is a proposal with about ten universities collaborating, and well eventually have to launch one of these Delta-4 rockets in the future [view conceptualized animations of the project and space projections here]. 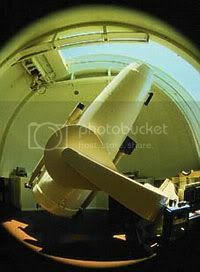 Schmidt Telescope at the Palomar Observatory. 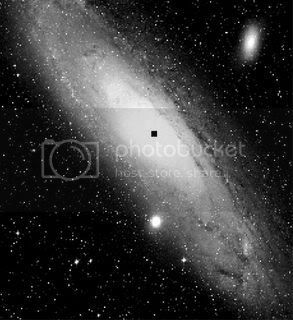 Pictures of the Andromeda Galaxy taken from the Palomar Survey Project. Image courtesy Palomar Observatory. Here is a picture of the Schmidt Telescope that we are using at Palomar and a sample of some of the types of pictures that we are getting, such as the Andromeda Galaxy. But how do we find these supernova explosions? These are exploding stars, they take about two weeks to get to their peak brightness, and they take about six weeks to fade away. 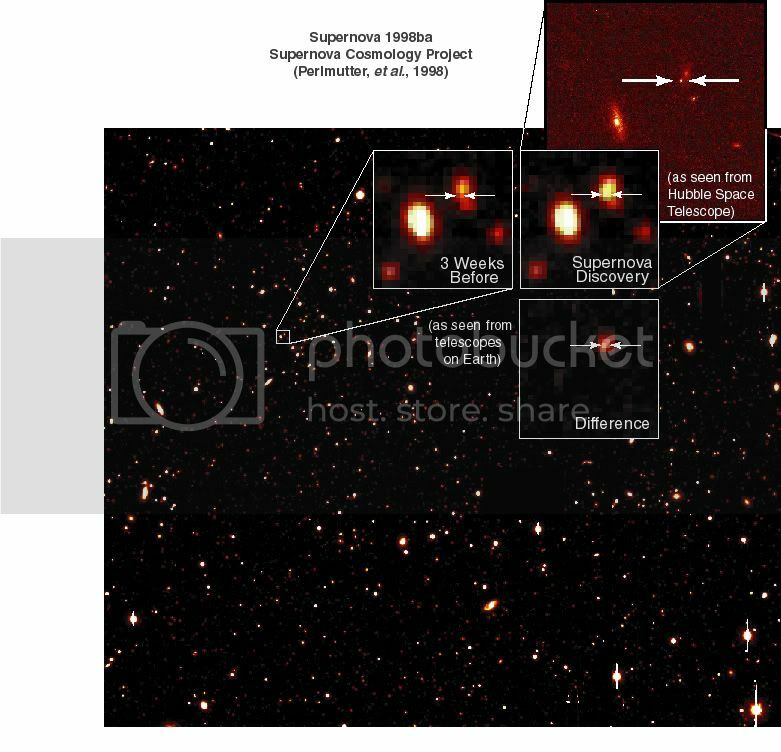 So we take one picture and compare it to a picture taken a month before, and then subtract the images to determine the supernova strength [see graphic in supernova picture above]. We have one big nuisance. 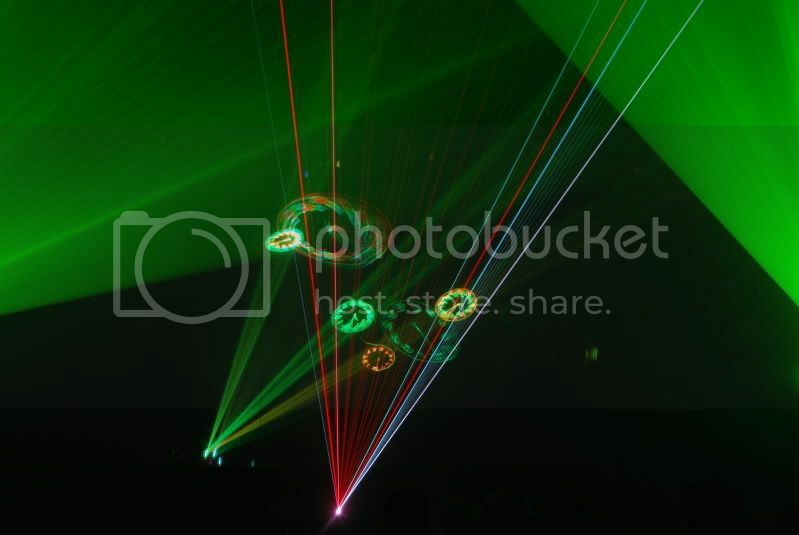 And that is that in some of the images, you see an object moving over, and circling between the stars. Thats not a supernova explosion, its something thats moving down the solar system. So within the background of the supernova search, are there other planets within our own solar system? To find objects, scientists take three pictures of a small region of the night sky over three hours and look for something that moves. The many billions of stars and galaxies visible in the sky appear stationary, while satellites, planets, asteroids, and comets appear to move. Image courtesy NASA and Caltech University. An animated gif that shows the three discovery images. The total area of sky shown in the bottom image is equivalent in size to the head of a pin held at arm's length. Incidentally, that is how big the Sun would appear from the new planet Sedna. Image courtesy Caltech University. 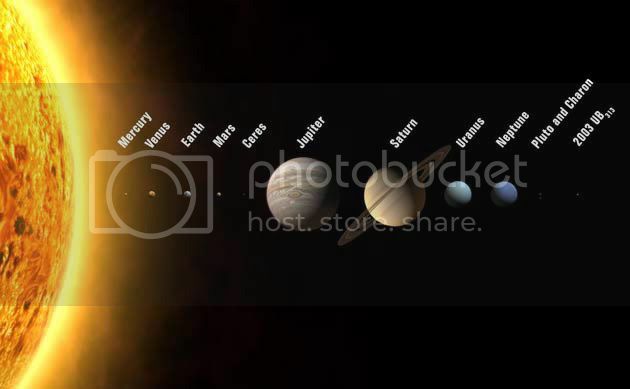 A diagram showing the relative sizes of Earth, Pluto, Eris and other distant solar system objects. Image courtesy Caltech University. Because of these discoveries, we now believe that the solar system is probably twice as big as we used to think. So this upset people quite a lot and they said, Either we call these guys planets, or we demote Pluto. So thats what happened. We have blood on our hands. Actually, what really happened is that everybody gets to be called a planet, with five inner planets, two giant planets, and four outer planets. And maybe we will find a few more [during the course of the Palomar survey]! How often do you get lucky enough to witness a world-famous physicist answering questions and explaining high-order physics in every day layman’s terms? Not often. Following is the transcript of Dr. Baltays post-lecture question and answer session, during which his natural wit often shined through. How is your work going to address dark energy and dark matter? it gets complicated. But the basic idea is that the expansion history will tell you about the dark energy. 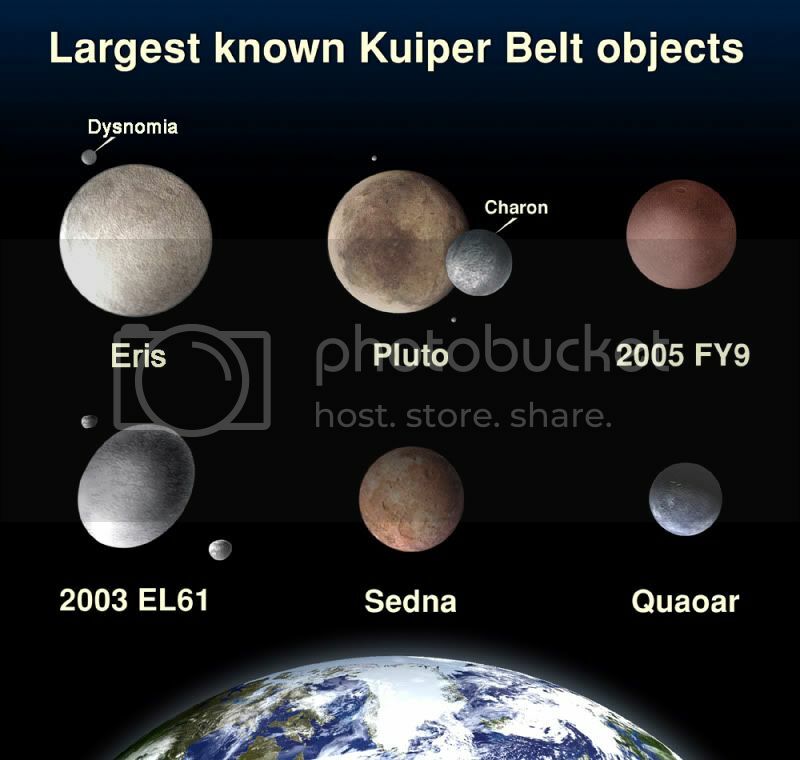 What got Pluto declassified when there are other planets that are much smaller? CB: Well, declassified may not be the right word. It was reclassified as a minor planet, to make the distinction between the giant planets and the minor planets. So its an International Astronomical Union, and they spend their days arguing and this is what they came up with. How do you determine the distance of the planets and supernovas you study? CB: With great difficulty. Measuring distance is a big problem; thats a hard thing to do. The reason I keep emphasizing supernovasthere are certain classes of supernovas that we know how bright they are intrinsically. So from the apparent brightness [of those standards] we can judge the brightness. Its like a car headlight, if you knew how bright it was up close, then you see it from a distance, you could say the light passed off is 1/r2, from the intensity deduce the brightness [and ergo the distance]. And thats why we pick out supernovas of all the possible things we could look at. [ScriptPhD note: You must imagine the sassy molassy British girl asking this questionits so much more fun!] We know that theres these lumps of rocks circling the sun. Why does it matter what we call them and is it really a good use of grown mens time to argue about it? CB: Well the International Astronomical Union has to have something to argue about. Its a disappointing thing to argue about. Youre rightthere are planets, there are asteroids, there are comets. So they are all things that go around the sun. So people like to classify. Biologists say that there are plants with three leaves on the end, versus five leaves on the end, and they give them names. So thats what people do. Sassy Molassy: Its kind of an old-fashioned way to go about science, isnt it? CB: Well, yes. I dont particularly find it exciting, but thats my sole resistance to energy balance, whether we have 9 or 10 planets. Who cares? Are you familiar with Stephen Hawkings theory that there are singularities that are infinitely large and infinitely small? [Read about the Penrose-Hawking Singularity Theorems here.] And if so, do you believe that that might be an explanation for why there is spin and not just Big Bang thrust? CB: Well, from what I understand about those theories, none of them encompass repulsive gravity. So dark energy is really different from anything that anyones talked about, in that it has repulsive gravity, and thats what pushes the universe apart. So none of those weird things that people talk aboutworm holes and singularitiesnone of those explain dark energy. Were looking at something really quite new. How does dark energy compare with the other forces, like gravity or electromagnetism? CB: If I knew Id publish immediately! We just dont know. Is there some correlation between the dark energy that youre talking about and Einsteins Cosmological Constant which predicts an expansion of the universe based on its properties of space? CB: Yes. Youve been reading books, obviously. OK, so let me mention a bit of history. Einstein wrote down his equation [E = mc2] in 1916, without a cosmological constant. He realized that thats inconsistent with a static universe. In a sense, I cant take this jacket hanging on this chair and leave it in the air. Gravity will make it fall down. So Einstein, revolutionary as his thinking was, firmly believed that the universe is static. This was before Hubbles constant. So he said, How can I fix up my equation?, he put in this extra term, he called it his cosmological constant, which canceled out the gravitational attraction, and to him it was just an extra term. Then in 1930 Hubble said, The universe is not static, and Einstein said, Oh, the cosmological constant is the biggest blunder of my career. Now, I dont know what he meant by that, because it couldnt be one thing. Maybe what he meant was, Had I stuck to my guns, and said the Universe cannot be static, I could have become famous! [laughter] So from 1930 until just a few years ago, everyone used the cosmological constant. It was something that Einstein used to catch up his theory to be consistent with the semi-state universe. But we discovered that the universe is accelerating, maybe the cosmological constant is doing it. So thats one candidate for dark energy. Since waves tend to travel through mediums, is dark matter the medium by which light travels through? CB: No. But how do I know that? I dont think it is. We dont know what dark matter and dark energy are. So its just the beginning of the story. Are the experiments you talked about the only experiments happening on dark matter and dark energy? Can dark matter exist in a black hole, do you think? CB: I dont know. As I said, if I knew Id publish. Is there a number associated with Hubbles Constant, just like pi? CB: There is a number. It is hotly debated but the general values are described here. Its not a number like pi, thats a geometrical number. Its a number that we have to measure. What can your space telescope see that the Hubble cannot? CB: The answer is the following. Its called field of view. When you pick up a pair of binoculars, sometimes it has a very narrow field of view. And sometimes a big field of view. If youre trying to find many, many supernovas, you want a wide field of view. The Hubble has a very narrow field of view. So we have to do something better than the Hubble. Im being very modest today. CB: Thats beyond my pay scale. 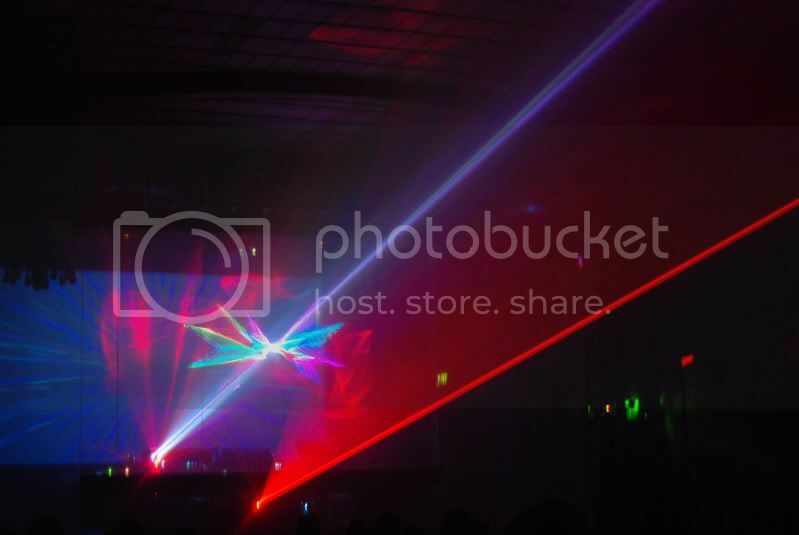 Lights and Lasers and Pink Floyd, Oh My! 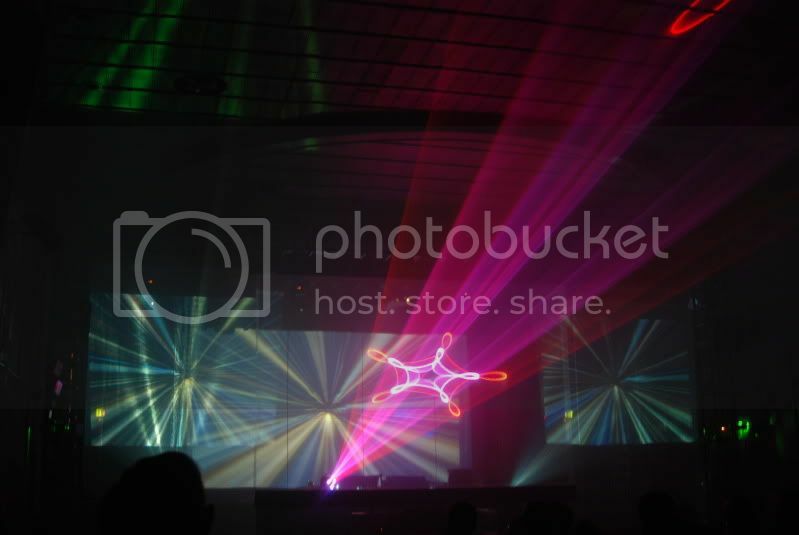 Our complete photographic collection from the show can be found as an extra feature on our Facebook fan page. Please credit all photography to ScriptPhD.com. it doesnt get better than that!